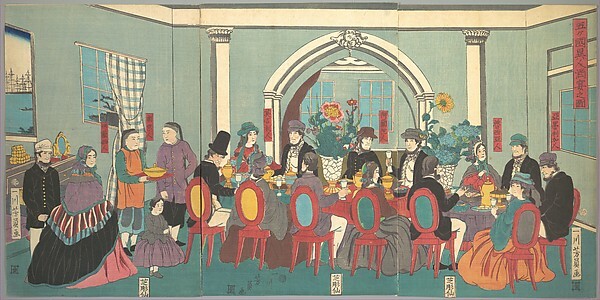 14th century banquets, British Empire influences on Asian food practices, ancient Indus foods, Jesuit tastes, Indian cheeses, pickles, Nyonya cooking and plenty of sweet things in China and Japan : this conference will give you a great taste of what modern scholars are working on in the field of Asian food. The Shared Taste Conference takes place on June 28, June 29 and June 30 and features scholars working across relevant disciplines to present papers on the Eurasian movement of crops, foodstuffs and food practices, and the role of food in the exchange between Asia and Europe. Keynote and opening of conference on June 28 by eminent French food historian Françoise Sabban (Paris); special featured speaker on June 29 is Asian food scholar Cecilia Leong-Salobir (Wollongong). You can attend all 3 days, or pick your programme. Your ticket includes tea and coffee at the conference venue (Thu, Fri, Sat) and buffet lunch (Thu, Fri). There is a limited amount of discount tickets for students.